Welcome to the new Amberley Gate Guard. RAAF Base Amberley has recently welcomed a new gate guard. 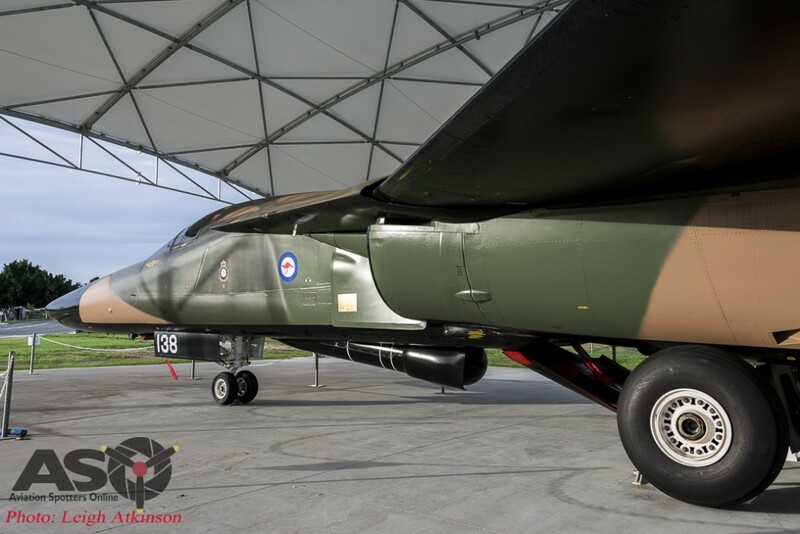 The F-111C A8-138 has been beautifully presented and been provided with protection from the elements thanks to a large awning. The ‘Pig’ had recently been part of the displays at the RAAF Heritage Centre at the base prior to assuming its current role. Prior to retirement the aircraft had a long service history with the RAAF. The following summary has been drawn from information found on the ADF Serials web site HERE. The first F-111 modified with Pave Tack. The flight on 01/10/1984 was conducted from the General Dynamics plant at Fort Worth, Texas, USA where the aircraft had been modified. The crew was FLTLTs Tim Jones (pilot) and Greg Fitzgerald (navigator). 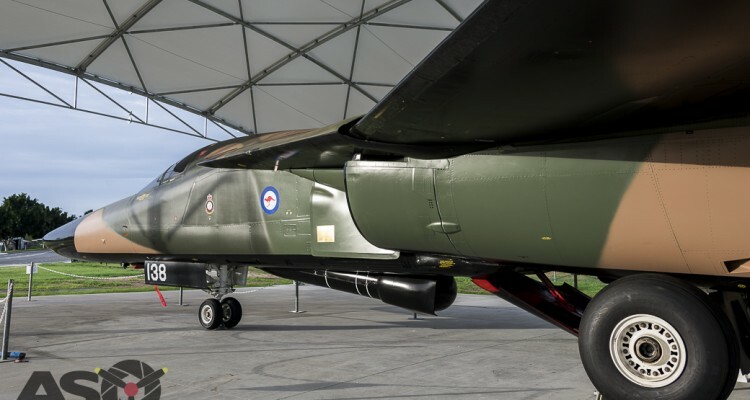 This was the first flight in a Pave Tack flight test programme that continued until the end of 1985. Took part in flying display at F-111 retirement ceremony on 3/12/2010. Acknowledgement of the efforts of those that have been involved in getting A8-138 prepared for her current duties. Shadow guarding the gate guard. G’day Norm. Glad you like my photos and agree that they have done a wonderful job presenting her. Thanks Leigh.